Home / Digital Marketing / Online Marketing: How to spy on your competition in the network? We know that the new business model counts as the main strength with the ease of access and the reduced initial investments required. Additionally, aspects related to variables that are difficult to measure -in terms of figures- such as reputation and quality result in an optimal investment ROI, so that in a first analysis, we can confirm that it was never so easy to start your own business. Now … the reality is not so simple, even if you are all day immersed in the analysis of the operation of the variables that affect the evolution of your market, you may find it difficult to analyze the results of an SEO strategy or an advertising campaign. There are companies that have specialists who are responsible for all aspects related to positioning and online sales and there are many great brands that are willing to launch the ideas of their marketing departments however … how do you choose the best? Marketing strategy for an SME? It is clear that an SME or a microentrepreneur will not have the time necessary to carry out an efficient online marketing strategy, but … to optimize actions, analyze their competition and optimize their market niche, achieve a Substantial improvement in the results of an SEO campaign giving the brand a greater presence in the search engines, which undoubtedly increases traffic and improves the reputation of the brand. Google Alerts , there are many people who have heard about Google alerts is more, surely many brands use alerts as a way to analyze their reputation online. Google alerts are free and allows you to filter the reception of news based on the search criteria whose competence we are interested in knowing. When Google finds any related news, it will send us an email with a link. They are ideal for identifying the criteria by which you position your competition but also to manage online reputation. The analysis of what the competition does opens a range of possibilities to develop your marketing strategy. A mention in social networks will give you the possibility to see any query in real time, which will let you know what the competition is doing and what users think about it. 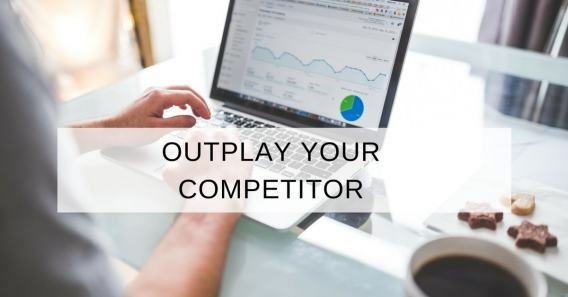 It is time to know what is said about your competition, very valuable information to decide more relevant aspects of your online marketing campaign or your positioning strategy. You may want to check what is said in IceRocket, Addict-o-matic, Seesmic, TweetDeck and a large number of competitive analysis tools available in the market. Open Site Explorer has the best SEO tools to obtain detailed reports about the sites that are your competition, which will be of great help to identify what unites you and give you a rough idea of ​​the work that remains to be done to achieve a gap between that competition that he so vehemently analyzes. Another tool of great quality in terms of SEO is Trifecta, very competitive, linking the research of keywords with the tracking tests. 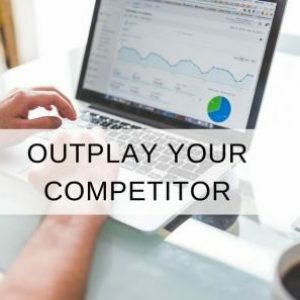 If you are thinking about launching a PPC campaign you need to know SpyFu, thanks to this tool you will have access to the actions carried out by your competition in terms of PPC. It allows you to download keywords used by the competition, simulating advertising campaigns. It is very important that you know that it is not enough to copy, it is necessary that this information helps you improve and optimize. Thanks to these four tools, we can begin to do our “spy” work and follow the trail and activity of our competition in the network. « Previous Article Social networks and Social Media, the next bubble?